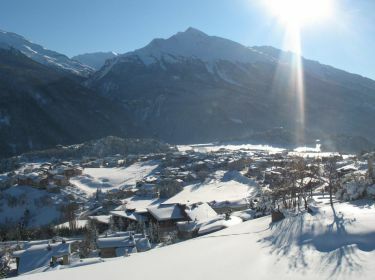 A winter and summer savoyard village type resort, Aussois is situated in the Maurienne valley, 7 km away from Modane and near the Vanoise National Parc. It is also at the foot of the Dent Parrachee, one of the highest peaks of the Vanoise. Whether you're a powder surfer or a beginner, youll find skiing adapted to your level. Between 1500 m and 2750 m, the resort has more than 55 km of pistes, 9 lifts and snow guns insuring snow all the season from top (2,750m) to bottom (1,500m). Aussois in the winter means discovering all the pleasures of skiing !